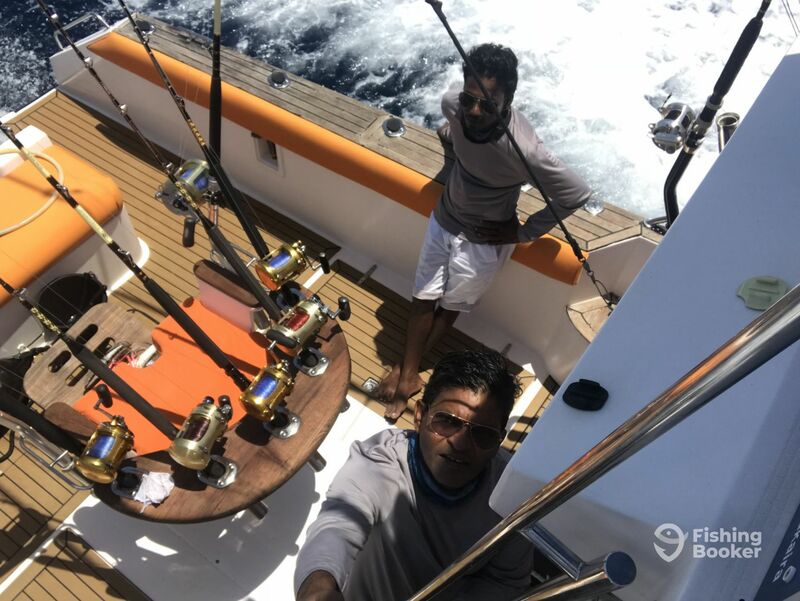 Captain Hussein Makaira has been working on the water for 18 years and has built a reputation as one of the Maldives' top charter captains. Capt. 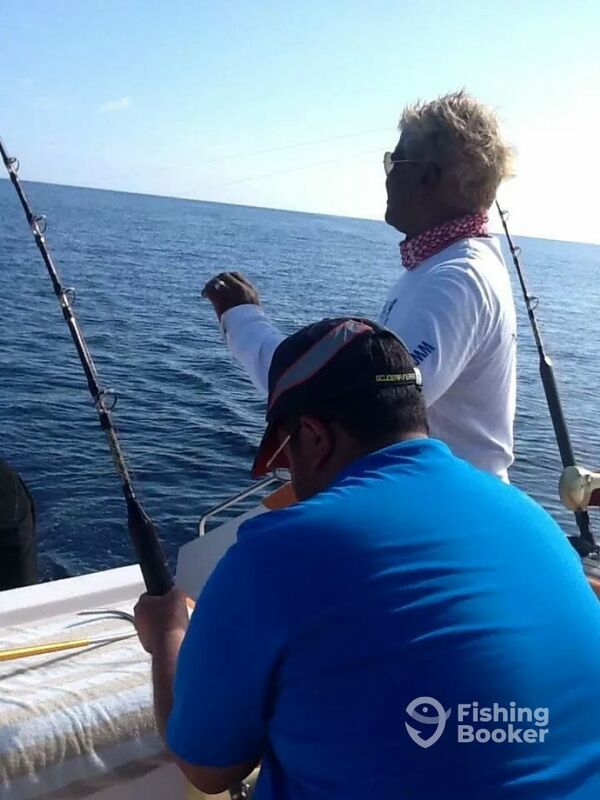 Hussein is a sport fisherman through and through – fishing is his passion and he always encourages the safe release of fish after the battle is over. Capt. 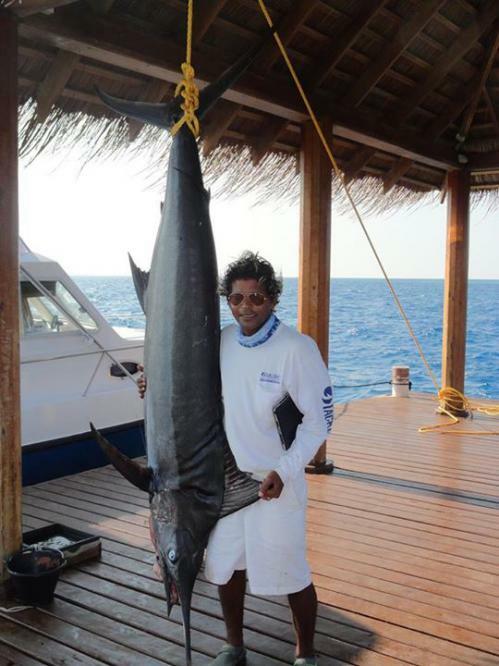 Hussein is a member of the Fishing Association of Maldives and his whole crew are pro divers. 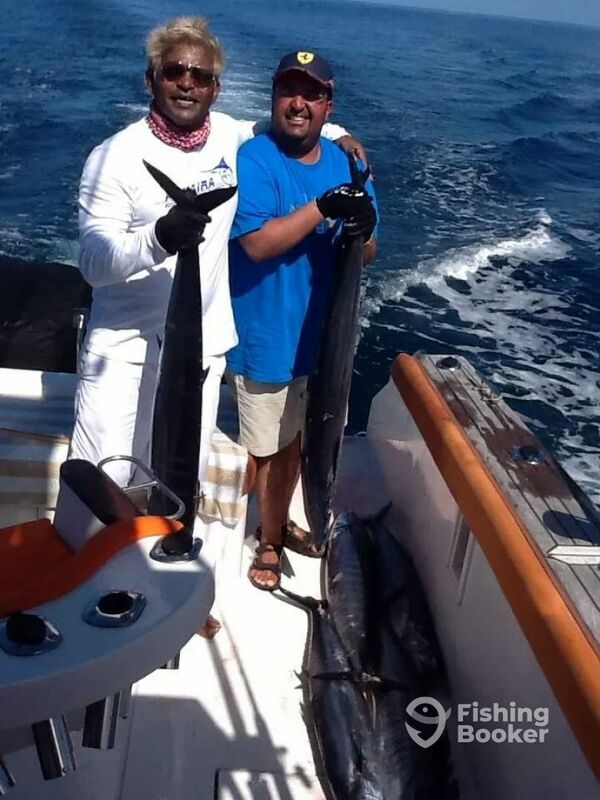 You're in safe hands aboard Makaira Luxury Charters. 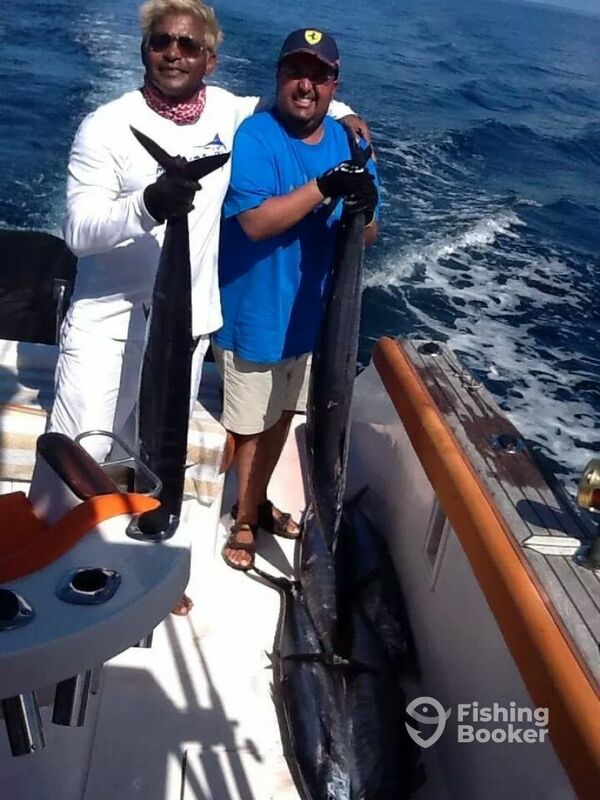 Although we did not catch any marlin, we have managed to get 3 wahoos in less than 2 hours. 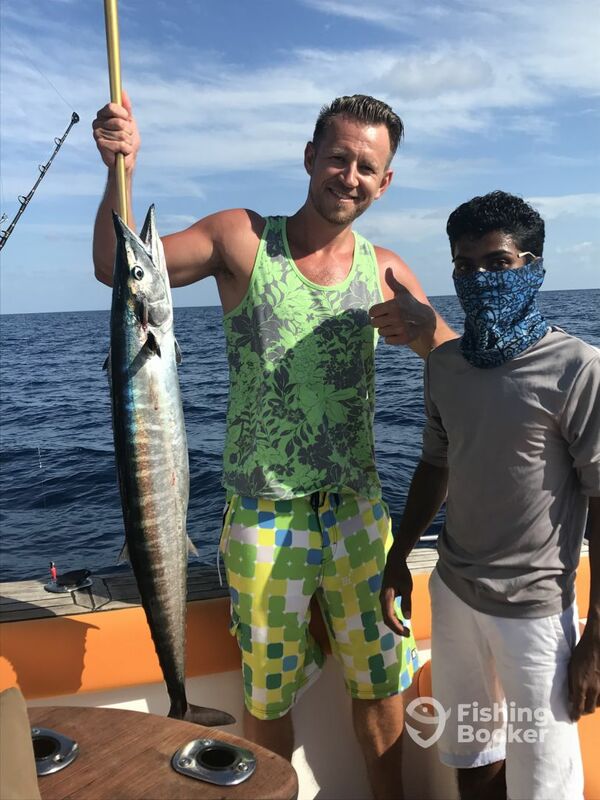 The boat is really nice, deck is new, gear is in great condition, and captain is very nice and knowledgeable. I just wish we took food and board and were able to extend our trip for a little longer. Thank you, Captain! 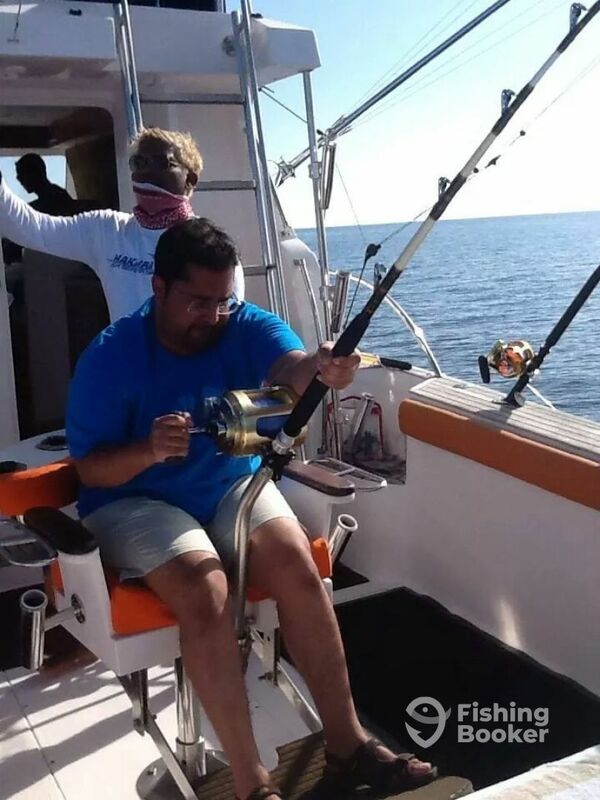 Not often do you see the captain working as the deckhand! It has been awhile for me. 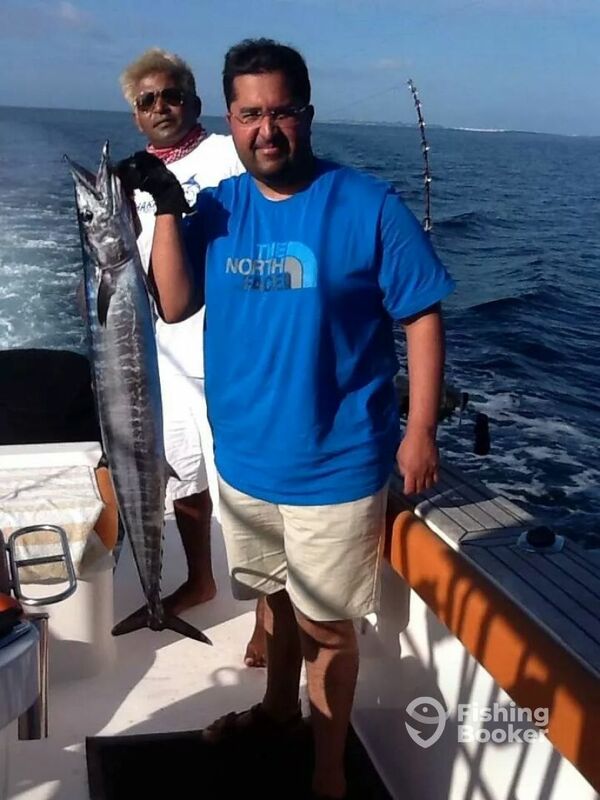 Hussein is a great angler with years of experience. 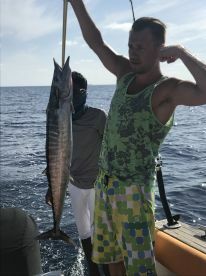 He got us hooked up twice in a half day charter. I felt bad that we lost both fish due to our own issues. Oh well!! 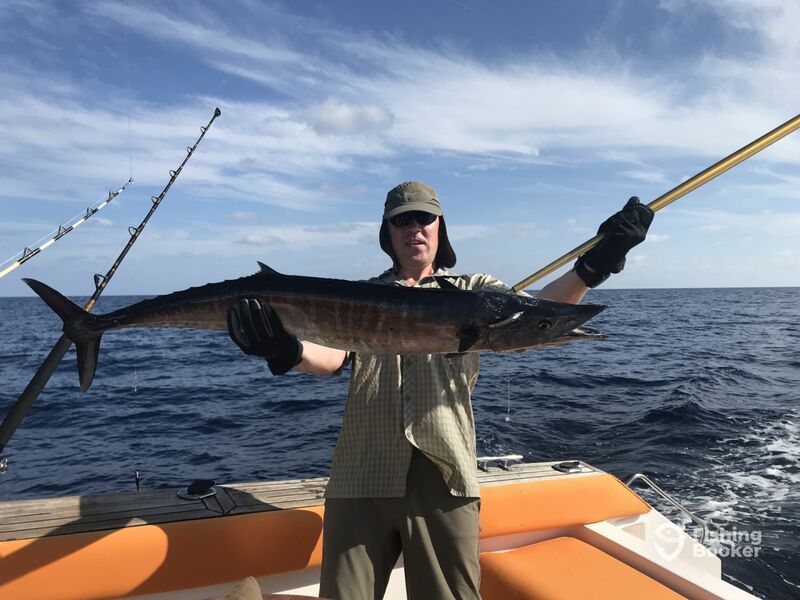 I would highly recommend Makaira Luxury Charters. They do a wonderful job with a great boat and fabulous equipment! 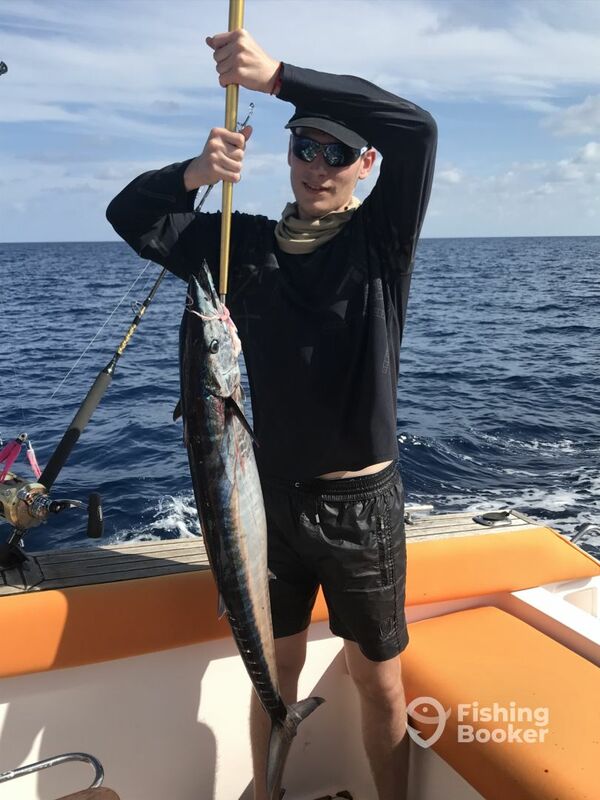 Real fishing trip for ealing value of money, 6 Wahoo in less than 6 hours. The captain and the crew were absolutely great wit service and help they really new how to show you a good time. 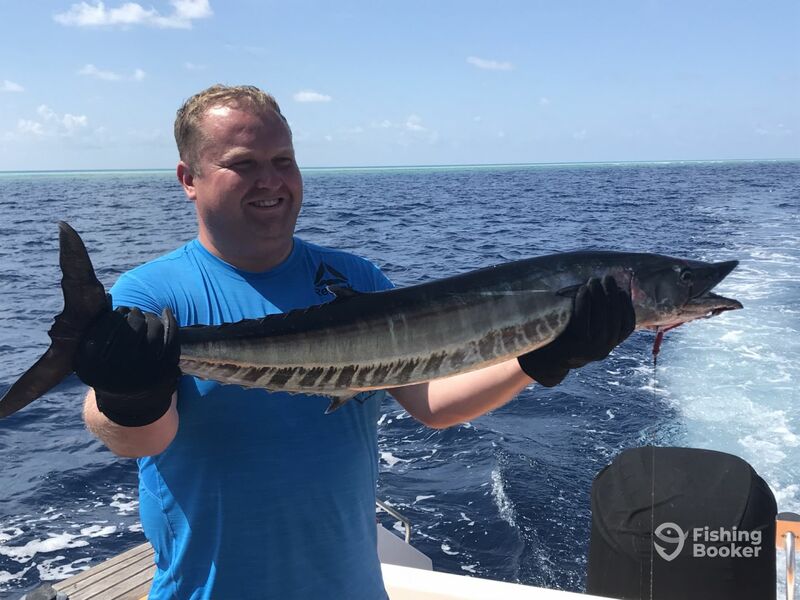 And the overall experience was warth it, don’t try looking for another charter than this one it’s the best with the same captain. It’s all thanks to Captain Hussain and his crew. Real fishing trip for ealing value of money, 6 Wahoo in less than 6 hours. The captain and the crew were absolutely great wit service and help they really new how to show you a good time. 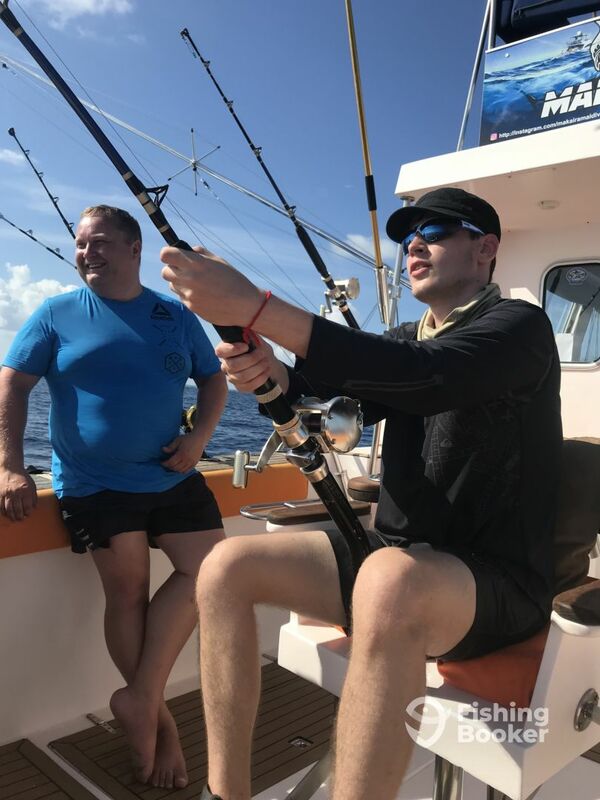 And the overall experience was warth it, don’t try looking for another charter than this one it’s the best with the same captain. It’s all thanks to Captain Hussain and his crew. We booked a half-day trip with this charter. After hours, we only caught 1 fish total. 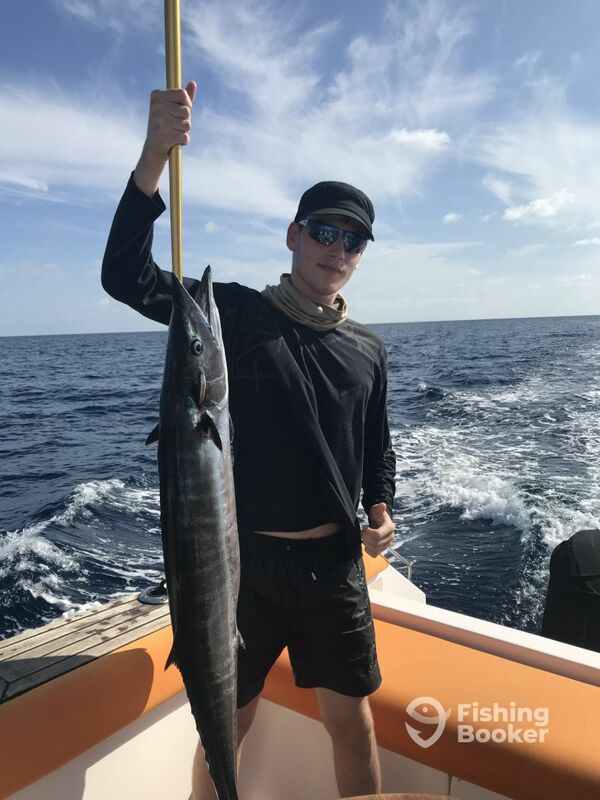 My boyfriend landed that one, I never even touched a fishing pole the whole time I was on the boat. I know we just had an unlucky day & it’s no fault of the charter. 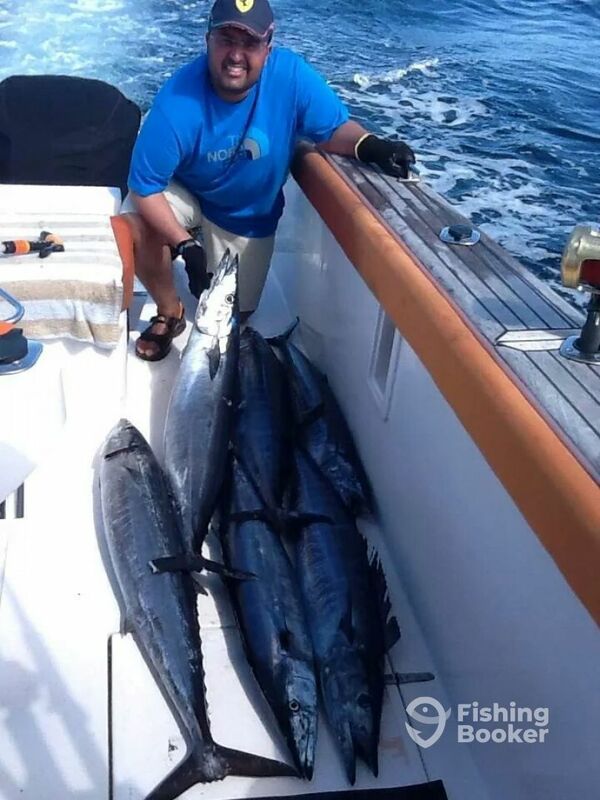 It sucked to pay $1100 for 1 fish though. They 2 employees on the charter weren’t all that friendly & didn’t seem to speak English. We had no clue what was going on most of the time because there was absolutely no communication. The bathroom was incredibly stinky & gross. Many of the other fishing charters that cost the same as Makaira offered lunch on the boat, but they just had apples & oranges. I’m sure this isn’t a bad charter, we just didn’t have a great experience.